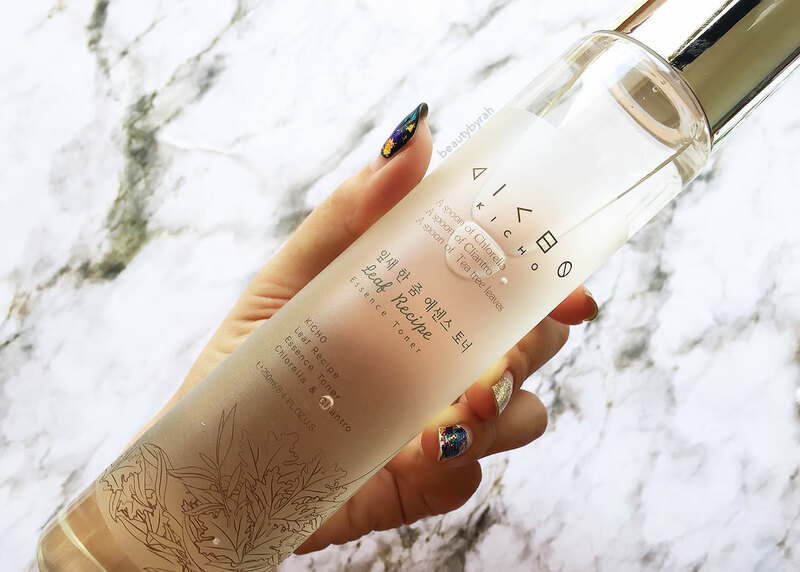 The first item I received in my BNT Beauty Box for December is the Kicho Leaf Recipe Essence Toner. This is moisturising essence toner that contains deep ocean water with minerals, cilantro, chlorella and tea tree. A toner meant for soothing the skin and to prevent any skin issues such as acne is definitely something right up my alley. 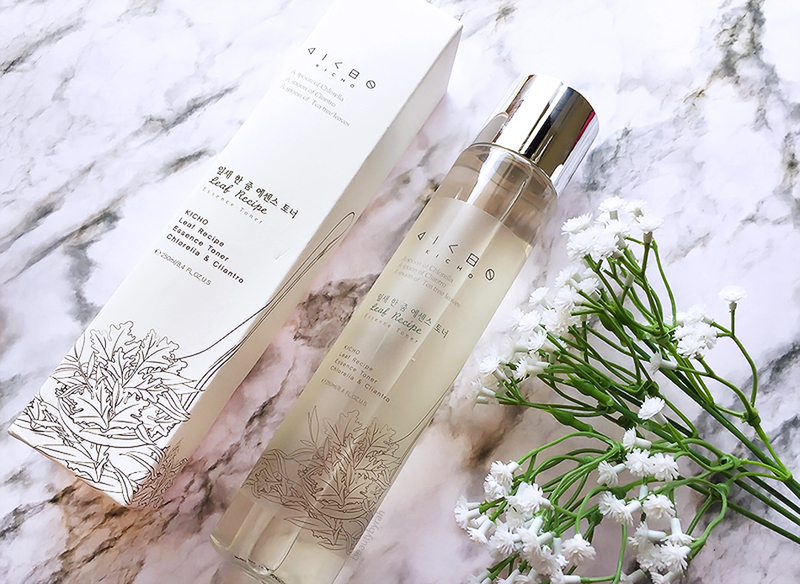 Kicho is a Korean skincare brand that focuses on the natural, stripped back approach to skincare. 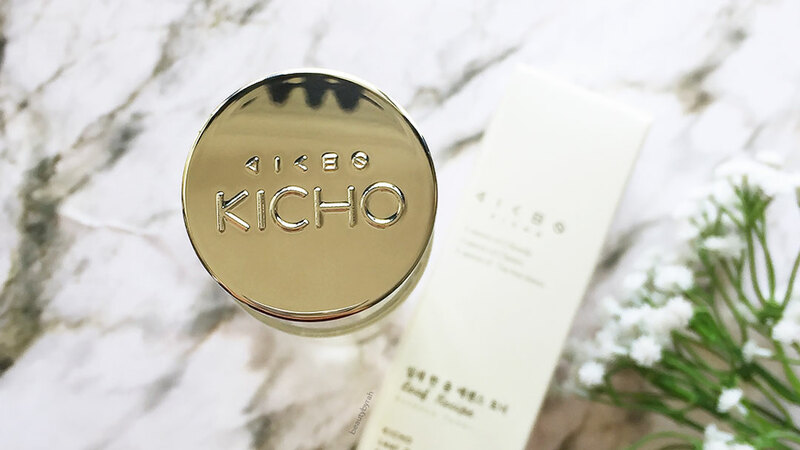 With its brand name, Kicho, meaning "basic" in Korean, this brand's mission is to strip products of unnecessary and harmful ingredients and focus on high-quality, proven, hypoallergenic ones, sourced from around the world. 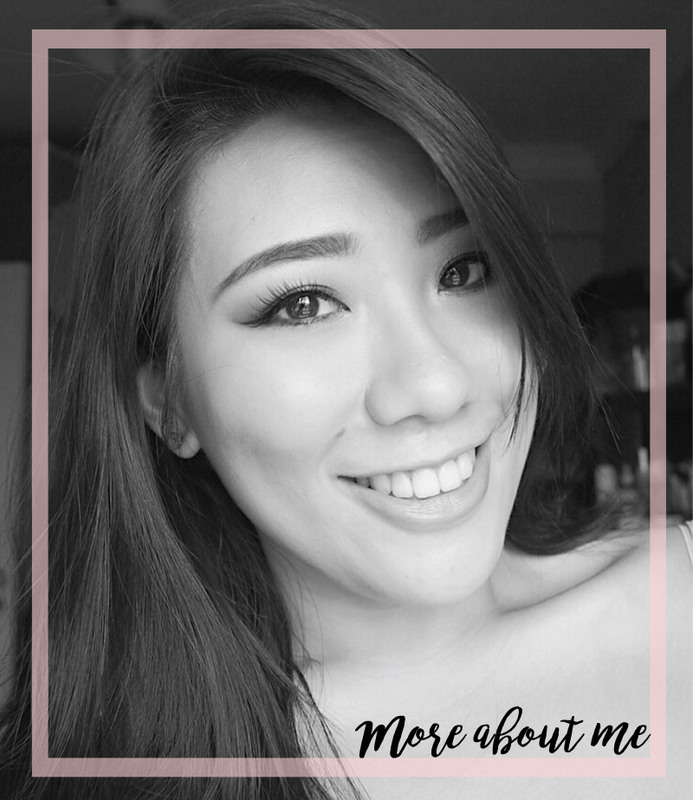 Kicho believes in the importance of simple and honest skin care, and strives to bring its consumers essential and effective products. Sounds pretty cool and since I have never heard of this brand before, I had to do some research and was glad to find out more about their brand and mission. After reading more about them, I got really excited to try out their toner! I got mine in the variation that includes Chlorella, Cilantro (or known as coriander) and Tea Tree. Chlorella is said to help to produce younger looking skin as it increases levels of vitamin A, vitamin C and glutathione in your body which eliminates free-radicals and protects your cells. Coriander contains tons of free radical destroying antioxidants, complexion-friendly minerals and skin boosting vitamin C. It’s also a potent anti-bacterial, antiseptic, anti-fungal, disinfectant, detoxifier and anti-inflammator. Tea Tree is commonly known as a natural alternative to curing acne. It also reduces sebum production by the skin and fights off the acne producing bacteria on the skin. This toner comes in a pretty heavy plastic cylindrical bottle. The texture is slightly viscous, partly due to it being an essence as well. I usually apply it onto a cotton pad and gently rub it all over the skin after washing my face. The scent of this toner is pretty strong. It smells pleasant but I am not entirely sure what contributes to scent. I do get a hint of tea tree and cilantro, but I have no idea how chlorella smells like! It isn't overpowering, and I gotta say that I do enjoy the scent. However, fragrances aren't the best in skin care products as it can sensitise and irritate the skin. I looked through the ingredient list, and it doesn't seem to contain synthetic fragrances. It does contain quite a bit of fruit extracts and citrus oils, which can contribute to the scent as well. Despite its mission to exclude harmful ingredients, I was pretty discouraged when I saw that alcohol was the fourth ingredient in the list. As it just states alcohol in the list, I am assuming it is either SD alcohol or denatured alcohol. These low molecular weight alcohols, as I mentioned a few times before, are just not good for the skin. In short, they dry and sensitise the skin, as it disrupts the skin's surface layers. It also contains Lavender Oil and Mandarin Orange Peel Oil, both having the potential to irritate and sensitise the skin. However, being in the last few ingredients, it shouldn't be too bad. Other than those ingredients, I do like that sodium hyaluronate is the third ingredient in the list as this is a great hydrating ingredient. Chlorella Vulgaris Extract is the fifth ingredient, and Coriandrum Sativum Extract (Coriander and Cilantro are just different names of the same thing) is the sixth. Thus, the main ingredients are generally decent, except for that addition of alcohol in the mix. As I am trying to cut down on the skin care products that contain alcohol, I doubt I would continue using this toner. 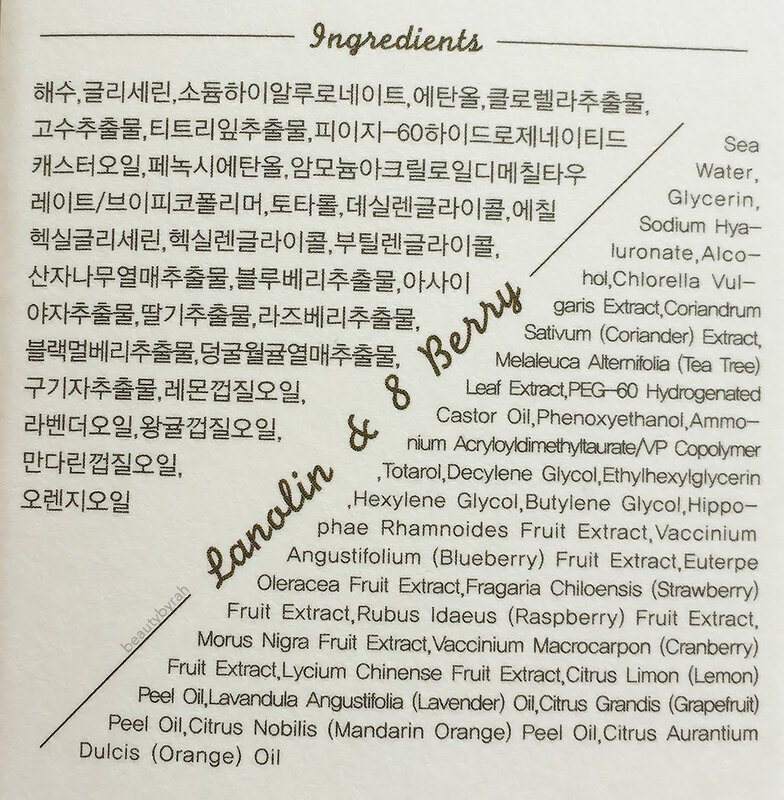 This is quite a pity since the other ingredients seem to have so much potential! This retails for USD 28 and can found on Kicho Cosmetics' Main website here. Thank you to the BNT News team for sending this my way! **This toner was sent for a review. Only honest thoughts are shared here, with no influence from others. I am not compensated nor affliated to the brand.